North Korea said on Wednesday it is considering plans for a missile strike on the US Pacific territory of Guam, just hours after President Donald Trump told the North that any threat to the United States would be met with "fire and fury". The sharp increase in tensions rattled global financial markets and prompted warnings from US officials and analysts not to engage in rhetorical slanging matches with North Korea. Pyongyang said it was "carefully examining" a plan to strike Guam, home to a US military base that includes a submarine squadron, an airbase and a Coast Guard group. A Korean People's Army spokesman said in a statement carried by state-run KCNA news agency the plan would be put into practice at any moment once leader Kim Jong Un makes a decision. In another statement citing a different military spokesman, North Korea also accused the United States of devising a "preventive war" and said any plans to execute this would be met with an "all-out war wiping out all the strongholds of enemies, including the US mainland". Washington has warned it is ready to use force if needed to stop North Korea's ballistic missile and nuclear programmes but that it prefers global diplomatic action, including sanctions. The UN Security Council unanimously imposed new sanctions on North Korea on Saturday. Trump issued his strongest warning yet for North Korea in comments to reporters in New Jersey on Tuesday. "North Korea best not make any more threats to the United States. They will be met with fire and fury like the world has never seen," Trump said. North Korea has made no secret of its plans to develop a nuclear-tipped missile able to strike the United States and has ignored international calls to halt its nuclear and missile programmes. Pyongyang says its intercontinental ballistic missiles (ICBMs) are a legitimate means of defence against perceived US hostility. It has long accused the United States and South Korea of escalating tensions by conducting military drills. US stocks closed slightly lower after Trump's comment and S&P stock futures slipped further in Asian trade, while a widely followed measure of stock market anxiety ended at its highest in nearly a month. The US dollar index edged down and the safe-haven yen strengthened against the US currency after North Korea's response. Asia stocks dipped, with South Korea's benchmark index and Japan's Nikkei both falling 0.5 per cent. North Korea have no intentions of backing down. Tensions will continue to mount and could eventually develop into a black swan event that the markets are not prudently considering," Steve Hanke, professor of Applied Economics at the Johns Hopkins University, told the Reuters Global Markets Forum. The United States has remained technically at war with North Korea since the 1950-53 Korean conflict ended in an armistice rather than a peace treaty. Seoul is home to roughly 10 million people, within range of massed North Korean rockets and artillery, which would be impossible to destroy in a first US strike. Tens of thousands of US troops remain stationed in South Korea and in nearby Japan, the only country to have been attacked with nuclear weapons. Wednesday marked the 72nd anniversary of the atomic bombing of the city of Nagasaki by the United States. Tensions in the region have risen since North Korea carried out two nuclear bomb tests last year and two ICBM tests last month. The UN Security Council unanimously imposed new sanctions on North Korea on Saturday over its continued missile tests. Japanese fighters conducted joint air drills with US supersonic bombers in Japanese skies close to the Korean peninsula on Tuesday, Japan's Air Self Defence Force said. 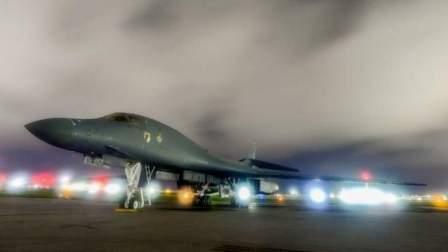 On Monday, two US B-1 bombers flew from Guam over the Korean Peninsula as part of its "continuous bomber presence", a US official said, in a sign of the strategic importance Guam holds. The alert status at Andersen Airforce Base on Guam had not been changed as of Wednesday morning, according to the duty officer at the base's public affairs office. Republican US Senator John McCain said Trump should tread cautiously when issuing threats to North Korea unless he is prepared to act. "I take exception to the presidentâ?Ts comments because you've got to be sure you can do what you say youâ?Tre going to do," he said in a radio interview. The Washington Post reported on Tuesday that North Korea had successfully produced a miniaturised nuclear warhead that can fit inside its missiles, according to a confidential US intelligence assessment. However, US intelligence officials told Reuters that, while North Korea has accelerated its efforts to design an ICBM, a miniaturised nuclear warhead, and a nosecone robust enough to survive re-entry through the Earth's atmosphere, there is no reliable evidence that it has mastered all three, much less tested and combined them into a weapon capable of hitting targets in the United States. North Korea's ICBM tests last month suggested it was making technical progress, Japan's annual Defence White Paper warned. Former US diplomat Douglas Paal, now with the Carnegie Endowment for International Peace think tank in Washington, said Trump should not get into a war of words with Pyongyang. "It strikes me as an amateurish reflection of a belief that we should give as we get rhetorically. That might be satisfying at one level, but it takes us down into the mud that we should let Pyongyang enjoy alone," said Paal, who served as a White House official under previous Republican administrations.